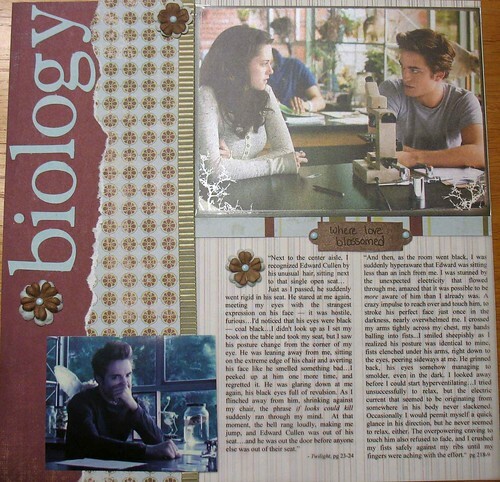 A paper layout for my Twilight album. The paper is from My Mind's Eye. Title cut from Plantin Schoolhouse Cricut cartridge. Large photo from the Borders DVD set, and the small photo I found online and printed. Page design based on a page map from Becky Fleck's book.